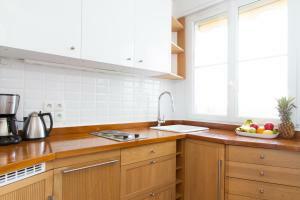 Located within 800 metres of Opéra Bastille in Paris, Private Apartment - Marais - Place des Vosges provides accommodation with free WiFi, a flat-screen TV and a kitchen. The Pompidou Centre is a 15-minute walk away. 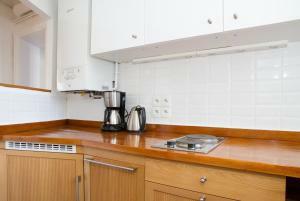 Each apartment has 1 bedroom and a fully equipped kitchen with a refrigerator and an oven. There is also a flat-screen TV with satellite channels. Notre Dame Cathedral is a 20-minute walk from Private Apartment - Marais - Place des Vosges, while Place de la République is a 13-minute drive from the property. The nearest airport is Paris - Orly Airport, 14 km from the property. Children can be accommodated but the maximum number of guests allowed should not be exceeded. Guests are required to show a photo identification and credit card upon check-in. Please note that all Special Requests are subject to availability and additional charges may apply. Please inform Private Apartments - Le Marais - Place des Vosges in advance of your expected arrival time. You can use the Special Requests box when booking, or contact the property directly with the contact details provided in your confirmation. 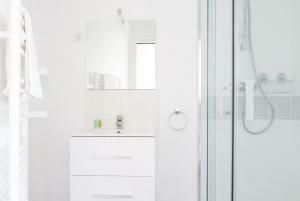 This apartment features a electric kettle, kitchenware and tumble dryer. Rate: € 154.50 ... € 164.50; select dates below to get current rates. Rate: € 160.00 ... € 260.00; select dates below to get current rates.